Massage therapy can be a physically demanding profession. According to a recent AMTA survey 65 percent of massage therapists are practicing with some level of pain. And massage therapists—like many wellness professionals—often put the needs of their clients first, sometimes sacrificing their own needs. In 2017, the American Massage Therapy Association is engaging in an education campaign to help our members think more strategically about their self-care regimens—whether that’s body mechanics when practicing massage, or warm up/cool down/wellness maintenance to help you live your best life possible. Look for more on this topic in the coming months. 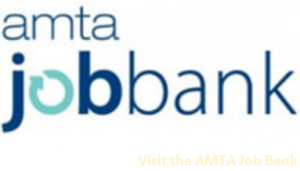 To introduce the topic of self-care, AMTA started a dialogue with interviews two very different experts in the field. A native of New Jersey, Shaun T received a BS in sports science and a minor in theater and dance from Rowan University. He has gone on to become the creator of fitness programs like Insanity and Cize that have helped revolutionize contemporary at home workout choices without the ongoing expense of gym membership. But fitness is more than physical and his podcast Trust and Believe if filled with inspiration and coaching for the emotional issues many face in their lives as well. Taking another perspective on the topic of self-care is Shawn Achor. After spending twelve years at Harvard University, Shawn Achor has become one of the world’s leading experts on the connection between happiness and success. His research on mindset made the cover of Harvard Business Review, his TED talk is one of the most popular of all time with more than 13 million views, and he is the New York Times bestselling author of the Happiness Advantage. We’re giving AMTA Members a special preview of the summer 2017 issue of Massage Therapy Journal! 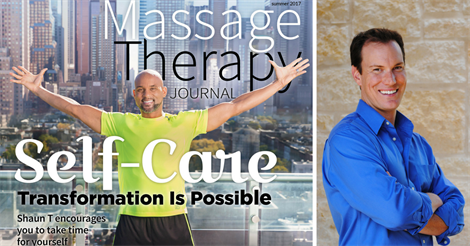 Shaun T and Shawn Achor share some of their personal self-care practices, the role massage therapy plays in their wellness regimen and why you should see them at the AMTA 2017 National Convention.